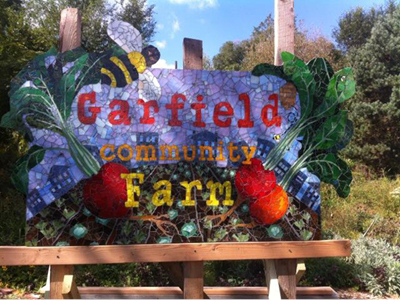 On Sunday, May 6, following our afternoon service, enjoy an outdoor time of fellowship as we are joined by Garfield Community Farm’s Mobile Market and Franktuary’s food truck. Our mission partner Garfield Farm will sell plants to start your summer garden, and Franktuary will sell hot dogs, fries, and more for dinner. Available plants will include eggplants, peppers, hot peppers, various herbs, native fruiting trees and shrubs, and more than fifteen types of heirloom tomatoes. See the list of tomatoes, and check out the menu for Franktuary’s food truck. Please bring a friend and stay after worship for fellowship outside on Marathon weekend!